It’s not ideal for anyone to have to pack up all their belongings and move during a bitterly cold winter. Unexpectedly, life might decide to throw you a blizzardy curve-ball and before you know it, it’s winter and you’re packing up the house. 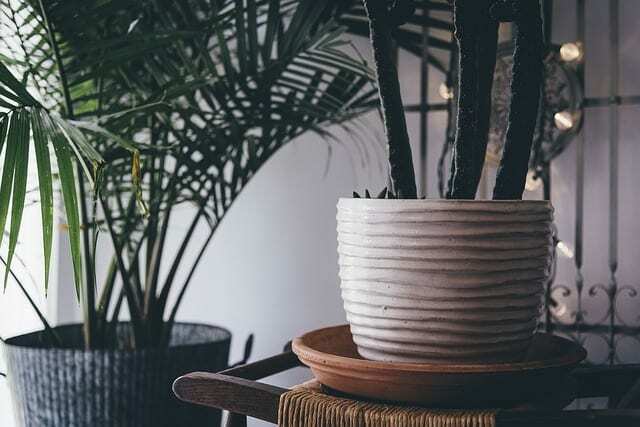 Fortunately, there are precautions that will help ensure your move goes as sound as it would during the summer, especially when it comes to transporting household plants. Refrain from watering plants on moving day. Plant soil should be more dry on moving day; however, the soil should by no means have the likeness of a cracked desert. Moving plants while still wet in cold weather may lead to freezing, and the last thing you want is for the roots to freeze! Another condition to be aware of in case of overwatering is too much moisture. This may cause root decay, especially in confined areas like boxes and cars. A layer of protective insulation will work wonders! Gently cover plants with blankets, towels, burlap, newspapers, or even plastic. Even though plastic will work effectively, paper actually insulates better than plastic. Be aware plant containers may crack due to the freeze-thaw-repeat pattern that is so common during the winter. To combat cracked pots, replant the gorgeous greens from a clay pot into a same-size container that is less breakable during the move. When packing plants into boxes, make sure the plant fits snug, and puncture holes into the box for light to peak through. This will also allow for air flow. Remember, plants need to breath too! If moving over the course of a few days, plan ahead and transport plants on the warmest day possible. This sounds obvious, but it is probably not the first thing on your mind, considering the long to-do you already have! Try loading plants into the vehicle through the garage to minimize exposure to the elements. Plants should be the last items loaded into the vehicle, so they will be positioned as the first items moved into the new house. The vehicle should be a comfortable temperature while it houses the plants, and there should be space between plants and windows to avoid damaged leaves from the cold. For stability, plants are best placed in the trunk of a car with other items, or even old towels, supporting their base. Lastly, if you’re moving long distance, plants can become damaged after a night spent in the car. It is recommended, if at all possible, to take plants inside during these longer voyages.